Holiday time is upon us! The stockings are hung by the chimney with care. The tree is decorated. Now all that is left is to find the perfect gift to put underneath. Why not give the gift of Santiago Cabrera! Who wouldn’t want to find Santi under their tree. I am a huge Musketeers fan so I can’t imagine a better gift than this wonderful series on DVD. The lusty adventures of Aramis, Athos, Porthos and D’artagnan delights men and women alike. Check it out here. A great Santiago movie for the ladies is “Love and Other Disasters”. Cabrera in a romantic comedy, it’s a treat. Other great choices for Santiago viewing, “Big Little Lies”, “Heroes, “Merlin” and one of his early roles “Empire”. This “Got Cabrera” cap would be an amusing gift for any Santi fan. Display their love of all thing Cabrera on their head! Check it out here. If you prefer a mug to a cap, check out this mug with Got Cabrera. There is also a variety of Pictures and Posters available which would make great gifts. Who wouldn’t love a picture of Santiago. That is just a few gift suggestions for the Cabrera fan on your list. I know I would love any of them. 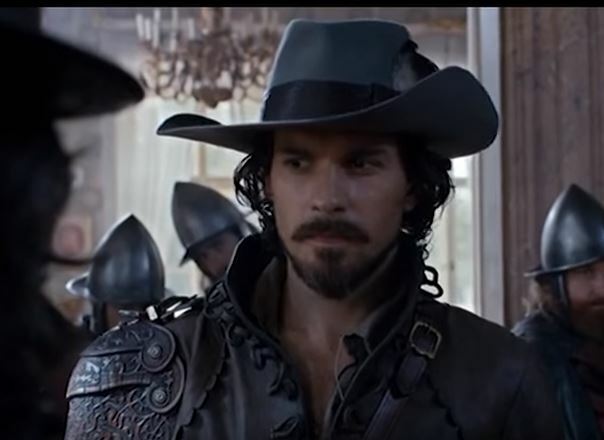 Well if anyone knows where in the world Santiago Cabrera is, give us a heads up! Till then Merry Christmas! Salvation is coming!